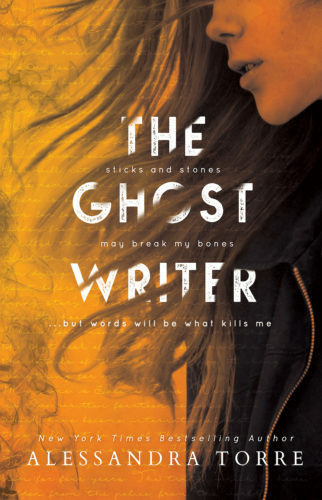 Chilling, haunting, fascinating and deeply engrossing, THE GHOSTWRITER by Alessandra Torre demonstrates her storytelling and writing prowess—a rare combination that delivers the most satisfying of reading experiences. This tautly written psychological suspense was brought to life by rich, well-developed enigmatic characters, intensifying my curiosity and making the book impossible to put down. The heroine is deeply flawed, inscrutable in many ways, a shell of her former self buckling under years of guilt, heartbreak and anger. That is the journey Torre takes us on—understanding what happened to writer Helena Ross on the day that fundamentally changed everything, and why, she must confess it all on the page in three months or less. To do this, she must return to the time that broke her, confront the truth she’s hidden from everyone, and ask for help from a bitter rival. The secrets slowly pour out, the mystery gradually unravels as Helena largely imparts the story from her perspective—then and now. With a narrative punctuated by surprising twists and betrayals, it’s best to go into the story blind, but I promise you, you’ll love peeling back the layers of this must-read mystery. I drag back the covers, and half-crawl, half-fall, into bed. The sheets still smell like Simon’s cologne. I can still feel his lips on my collarbone when I pull them up to my chin. It isn’t just this bed. The memories of him, as much as I fight them, exist. In the shower, I sometimes think of his kiss. In the car, I remember how he would reach over, his hand cupping mine, his thumb caressing the back of my hand, and tighten imperceptibly at quiet moments—a hug of sorts. I remember how much we laughed. Our inside jokes. How he would beam at me when I said something witty. When I hit my first bestseller list, we opened cheap wine and sat on the floor of that apartment and made a ramen noodle bonfire. That night, in bed, a laptop open, his arm around me, we’d looked at houses. “The sky’s the limit,” he’d said, and we’d gone crazy, flipping through homes we never thought we’d be able to afford, envisioning lives beyond belief. We’d known. We’d known that this was our new life, and that there would be more bestsellers. We’d thought that everything, from that point forward, would be perfect. I close my eyes and, despite every intention not to—feel the pull toward sleep. I hate Simon with my entire soul, and I love him with every other inch of my body, and neither really matters because he is dead, and I’m responsible.